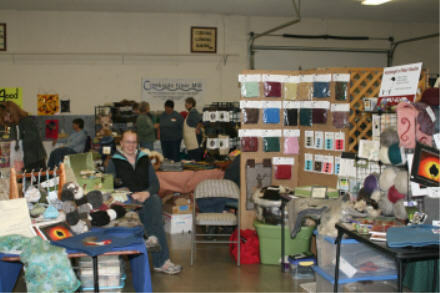 Yesterday was the 12th annual High Desert Wool Growers Fiber Market Day and the first time I made the journey over the mountains to check it out. 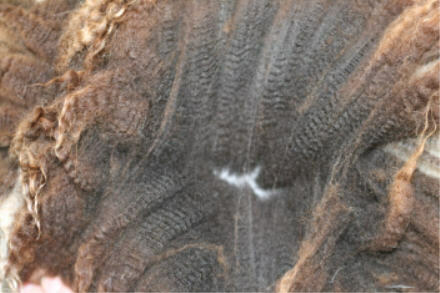 I have been wanting to visit this fiber show for the last couple of years, but it just hasn’t worked. 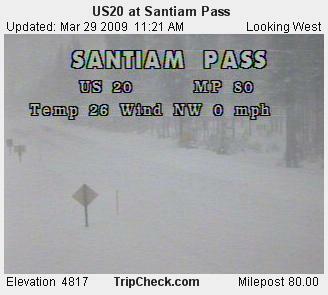 The main reason has been snow on the mountain passes. This year I lucked out! My sister and I had signed up for a vendor booth and left early in the morning. The following picture is pretty blurry, but it was really dark out! 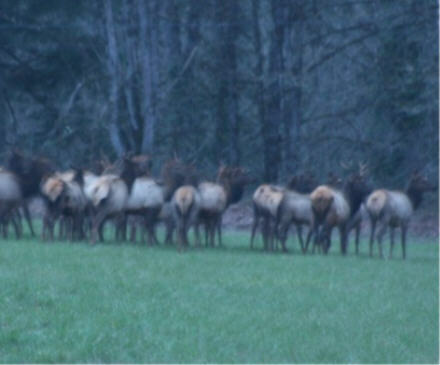 A herd of about 30 elk were on the side of the road on the way up. 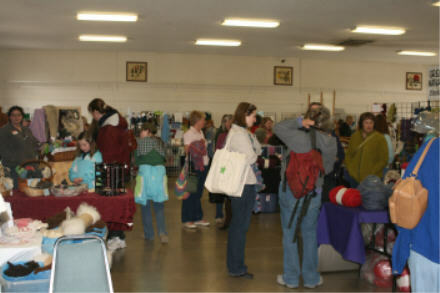 The fiber day was so much fun and very well attended. Here is my sister in our booth. There were a couple times throughout the day that the entrance was blocked by people. 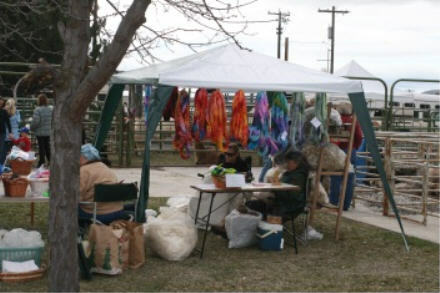 All sorts of fiber goodies were available and there were workshops on different subjects throughout the day. 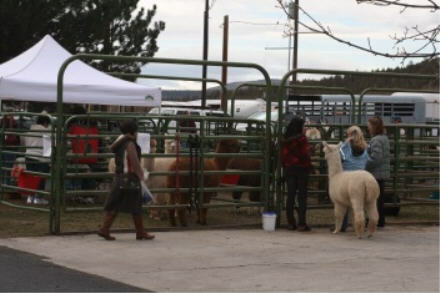 There were a few vendor booths outside as well as llamas, alpacas, pygoras, and sheep. My sister and I both had a successful day, we sold a little bit of everything. 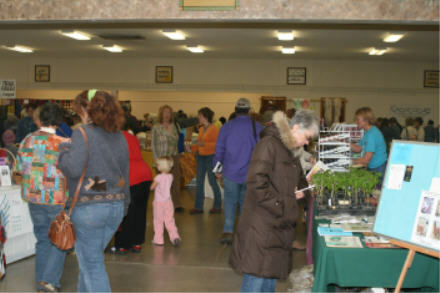 She makes beautiful and yummy smelling goats milk soap and our booth always smells so good. 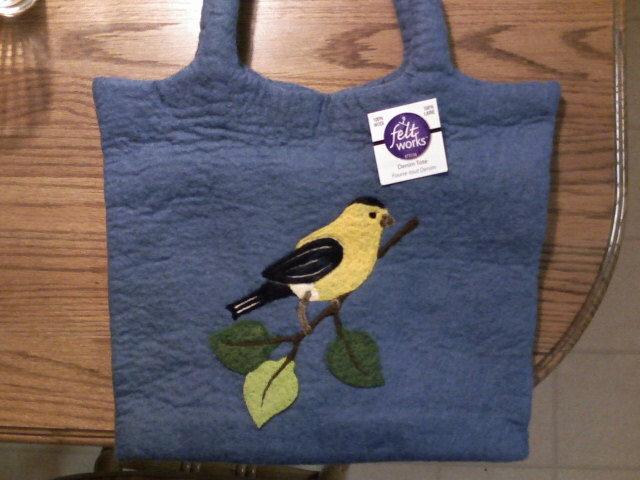 This was a last minute tote that I made and the lady who bought it was so delighted. We drove on bare pavement and I am so thankful for that!!! I was really concerned about getting stuck in the snow. We were in the car longer than we were at the event, but it was nice to not be gone for the whole weekend. I spent most of today adding the items that I am carrying in my studio to my online store. She is officially due on Tuesday and is very uncomfortable! Little Pacifica is just a head and legs sticking out of a puff ball! 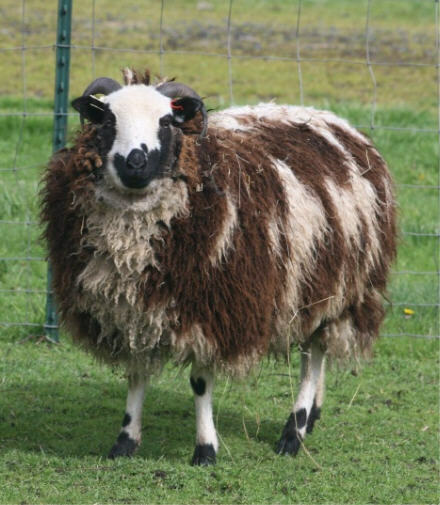 Her fleece is 7 1/2″ long and so soft. 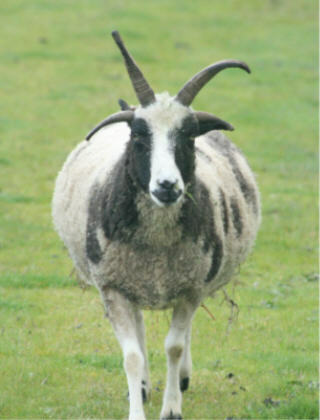 Symphony was a lovely lamb and she has matured into a beautiful ewe. 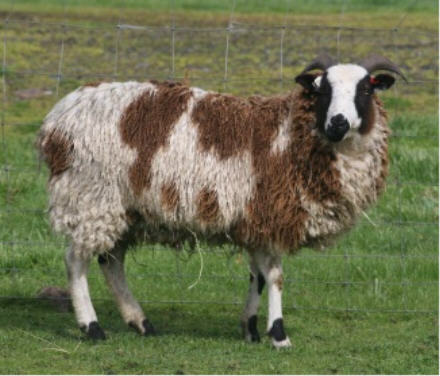 The wide 2-horn girls are my favorite! 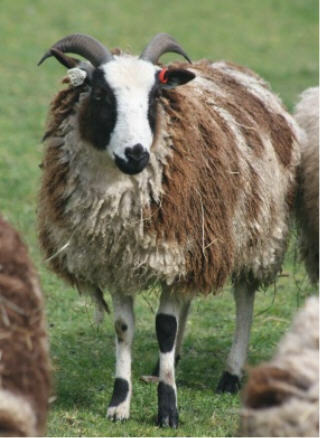 Her fleece is stunning. 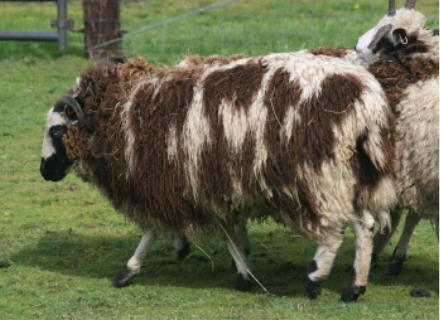 My goal is to get both of them sheared this week. 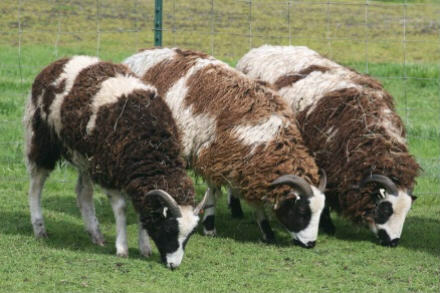 They are bred to Windy Acres Lawrence and are due in May! Infiniti seemed to immediately remember her sis and was happy to have her back too. 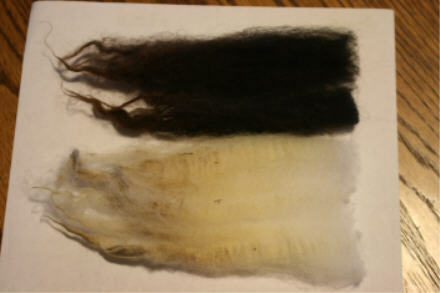 Here is my latest felting project – so much fun!!! 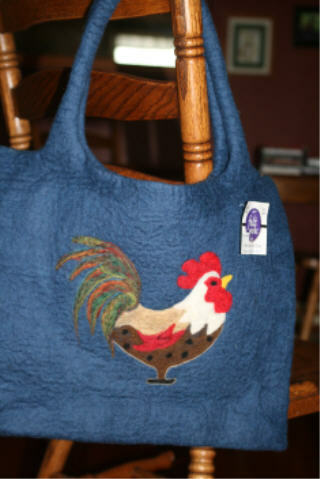 I bought the tote bag – it is wet felted (I have these available in my fiber shop along with other fun purses) and needle felted the chicken on it. A very fun activity on a rainy weekend!